Producer Web Portal – Allows individual milk producers to log into a secure portal to view individual farm results. Producer Text Portal – Communicates lab test results instantly via text or email to producers. Lab Collection – Instant lab results for all concerned. Liquid Scheduling – Provides communication to plants, cooperatives and haulers to order loads, schedule deliveries more efficiently. Passes route/farm information through all procurement modules. Liquid Procurement & Liquid Sales – Interactive modules handle all incoming and outgoing dairy liquids, components tying directly to scales and meters in the plant. Give the ability to record multiple, weights, pricing, and provide “real time” visibility and reporting. Liquid Inventory – Accepts dairy liquid inventory, tracks components through every production process, providing both shrink calculations and true traceability throughout the entire plant. Production – Move your dairy liquids from silo to floor with DSI’s production module as it accounts every step of production, reports yields, efficiencies, shrink and usage. Traces by-products, shrink and scrap. Production Scheduling – Analyze forecasts, current demand – both of raw materials, and finished goods, provides capacity planning and monitors planned schedules. eDSI – DSI’s eDSI module is used to provide “real time” data without additional data entry. Connects ERP modules to scales, meters, HMI’s PLC’s, and other automated warehousing equipment. Labs, QA – Finished good lab tests provide custom COA’s for customer who desire more or less information. QA has the ability to hold products, remove hold, upload tests from inside/outside sources. DairyTracker Barcode – Wireless barcoding software providing immediate inventory information on status, location and movements of raw materials, and finished goods. Faster picking/shipping of loads providing invoices, COA’s and BOL’s all from the wireless handheld scanner. 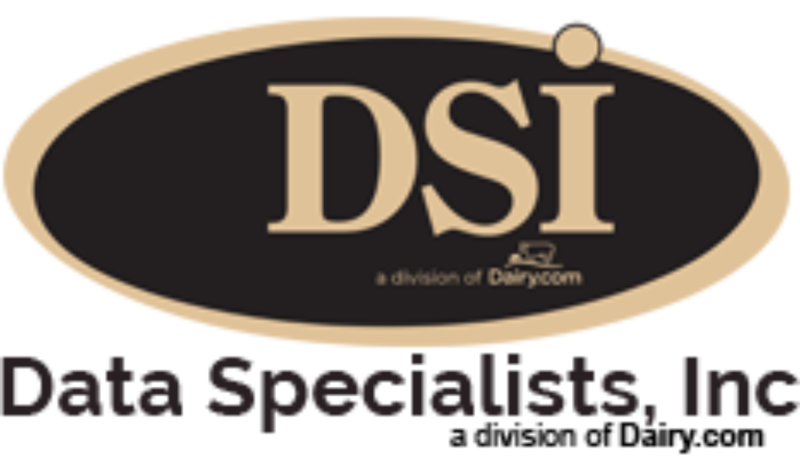 DSI understands the specific needs of the dairy and food processing industry. from the source, through your manufacturing plant and all the way to your customer. For more information, please contact Tom Filak at DSI – 262-723-5726.